Dekker his dreame; in which the volumes of heaven and hell to him were opened. 7 The Gull's hornbook: : Stultorum plena sunt omnia. Al savio mezza parola basta. 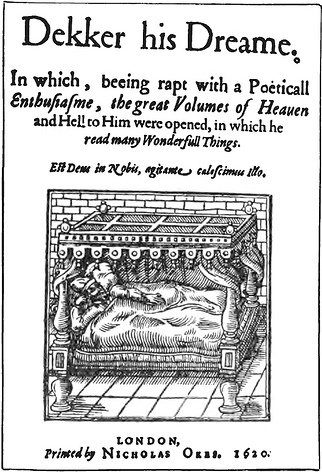 Woodcut from title page of Dekker his Dreame (1620).